Hanse 342 - Year 2006. 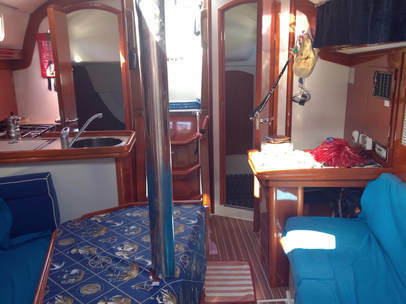 Two double cabins plus two additional beds in the dinette. A comfortable bathroom. Kitchen with oven. Autoclave with boiler. Hot and col shower, inside and outside. LED lights. 220 V inverter. L 240 fresh water tank. VHF radio. Wheel steering with auto pilot. GPS. Depht gauge and wind station. Outboard tender. Tent and bathing ladder. Hammock on deck. 30 HP engine with L 85 tank. Batten mainsail. Self-turning jib. Genoa 140%. Gennaker. Ophelie is equipped with all safety equipment, mandatory and non-compulsory. It complies with all requirements and documents necessary for a safe navigation. 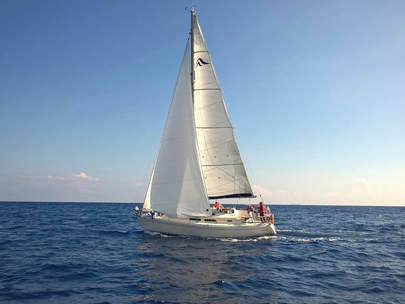 Thirty years of sailing experience on windsurf, kite-surf, catamarans, cruisers and cabins. 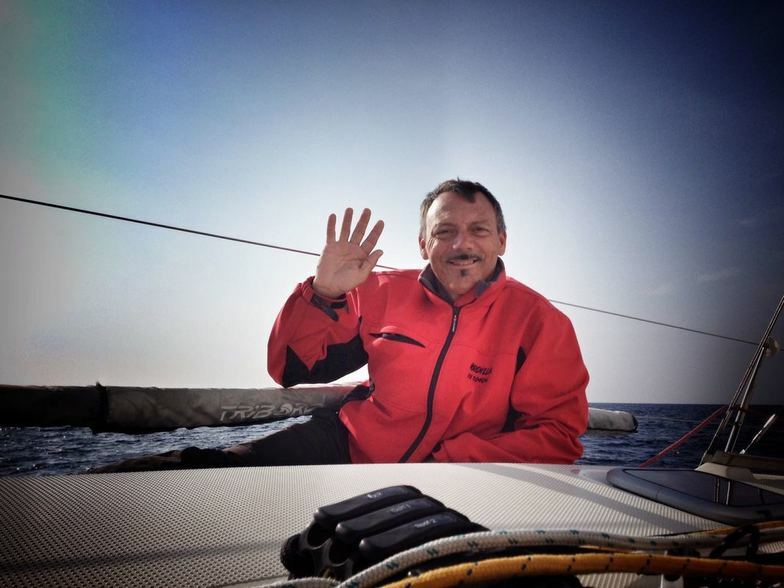 I have sailed in all the Italian seas, as well as in Croatia, Spain, France and the Caribbean. I usually take part in numerous races. I deeply love the sea, and i don't miss an opportunity to set sail. radiotelephone certificate, SRC patent and the Advanced PADI diving patent. I like the company of people who, like me, love the sea.